Armand Fernandez was born in 1928, in Nice, France. He lived and worked in the United States. The artist is a member of New Realism, he is best known for his sculptures made from the accumulation, combustion, or destruction of ordinary objects. The artist learnt the oil painting and photography by his father, Antonio Fernandez, an antiques dealer and amateur artist, who was also a photographer and a cellist. 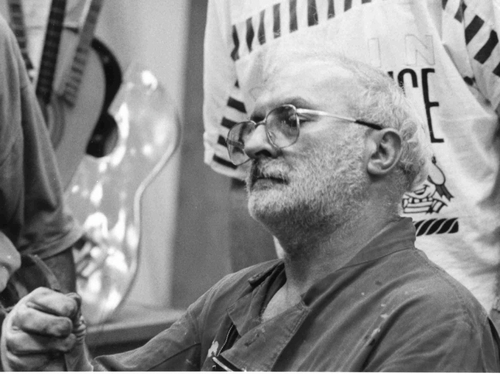 After his bachelor’s degree in philosophy and mathematics, he studied in the École Nationale des Arts Décoratifs in Nice and in the École Nationale du Louvre in Paris; during this period, Arman developed a passion for Eastern philosophy, early Chinese art and the martial art of judo, even working as an instructor at the Bushido Kai judo school in Spain. In the meantime, he met and became friends with the artists Yves Klein and Claude Pascal. He served, also, two years as an orderly in the French military in Indochina. Arman began his artistic production with the accumulation of the same objects, inspired by the German Dadaist, Kurt Schwitters. 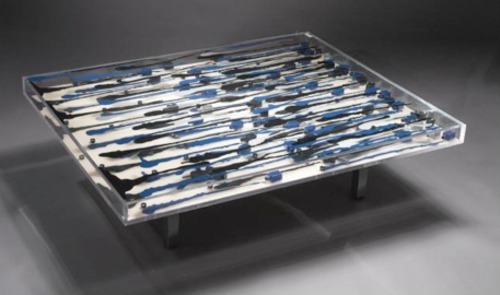 At his third solo exhibition, held in the Parisian Galerie Iris Clert in 1958, Arman showed some of his first 2D accumulations called "Cachets". These stamps on paper and fabric proved a success and provided an important change of course for the young artist's career. At the time, he was signing with his first name, an homage to Van Gogh, who also signed his works with his first name, “Vincent”. And, thus, in 1957, the artist chose to change his name from Armand to Arman. In 1973, upon becoming a citizen of the United States, he took the American civil name, Armand Pierre Arman. 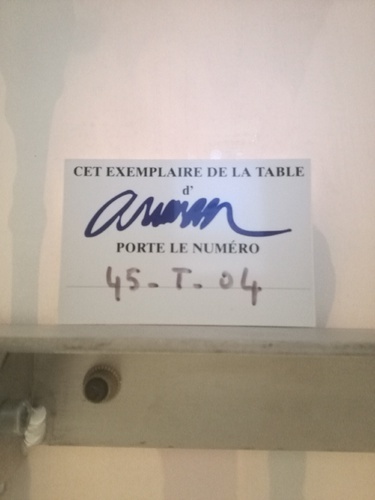 Nevertheless, he continued to use "Arman" as his public persona. 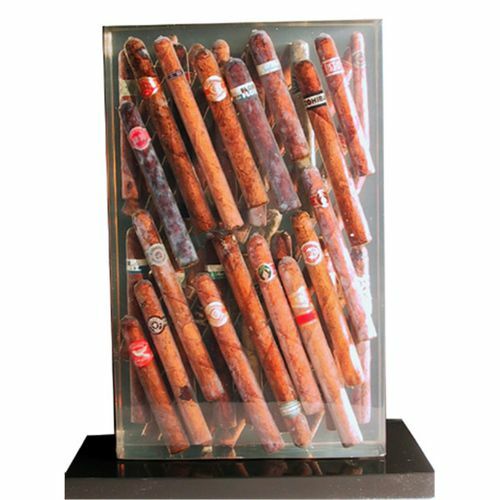 Arman developed his most recognizable style from 1959 to 1962, when he began to create his two most renowned concepts: "Accumulation" and "Poubelle" (French for "Trash bin"). 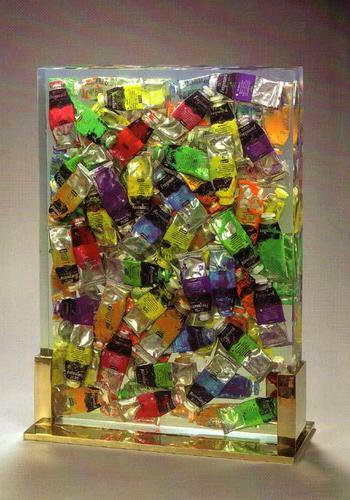 Accumulations were collections of common and identical objects which he arranged in polyester castings or within Plexiglas cases. 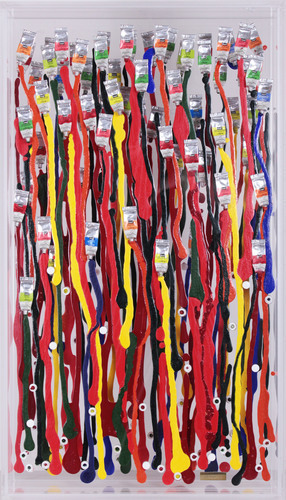 During this period, Arman and Yves Klein captured the attention of the European art community when they exhibited in the Galerie Iris Clert. In 1958 Yves Klein created “Le vide” (“Emptiness”) and two years later, Arman filled the Parisian gallery with garbage, generating “Le Plein” (“Full Up”). In October 1960, Arman, Yves Klein, François Dufrêne, Raymond Hains, Martial Raysse, Daniel Spoerri, Jean Tinguely and Jacques Villeglé, with the art critic and philosopher Pierre Restany, founded the New Realism group. Joined later by César, Mimmo Rotella, Niki de Saint Phalle, and Christo, the group of young artists were reassessing the concept of art for a 20th century consumer society by reasserting the humanistic ideals in the face of industrial expansion. 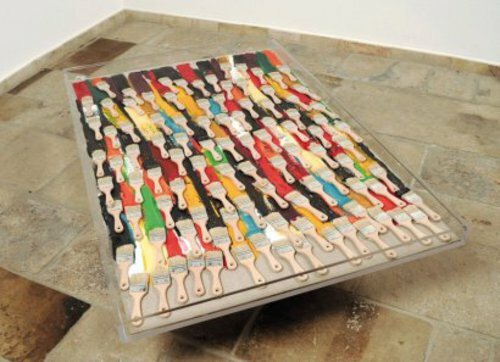 Arman made his debut in the United States in 1961, with the “Destruction”, the "Coupes" (“Cuts”) and the "Colères" (“Rage”) featured sliced, burned, or smashed objects arranged on canvas, often using objects with a strong identity, such as musical instruments (mainly violins and saxophones) or bronze statues. In the United States he met also Marcel Duchamp. When he moved to New York, Arman started working in public spaces and created monumental sculptures as Long Term Parking, which is on permanent display at the Château de Montcel in Jouy-en-Josas, France. Completed in 1982, the sculpture is an 18 meter (60 ft.) high accumulation of 60 automobiles. Arman died in New York, in 2005. Plexiglas and mixed technique - Limited edition of 99 ex. 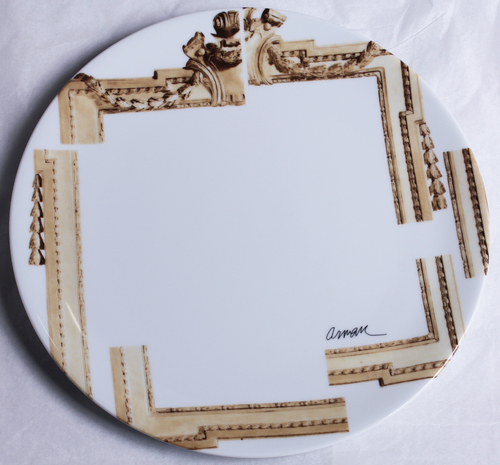 porcelain plate - Limited edition of 1000 ex. 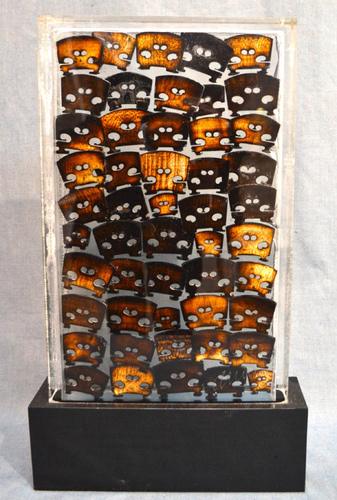 Violin Splints Accumulation in resin - Limited edition of 100 ex.